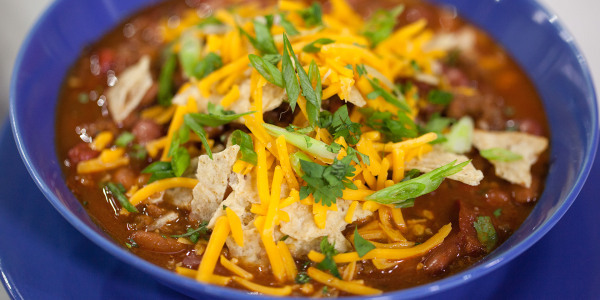 Learn how to make every type of homemade chili with our list of meaty (and vegetarian!) one-pot wonders. When the weather is cold, the first thing we want to grab — other than a sweater — is a bowl of hot chili. There's really nothing more hearty and comforting than a big bowl of steaming chili topped liberally with cheese, sour cream and more fixings. Whether you're vehemently vegan in the name of free Beyoncé tickets or crazily carnivorous, these chili recipes will always be there to warm your hands and your heart during the dog days of winter. It's hard to go wrong with this all-American classic. A recipe that doesn't involve any unusual ingredients, it's easy and not too spicy. This dish is all we really need when it comes to a truly comforting meal. Who doesn't love a good fast-food copycat recipe? 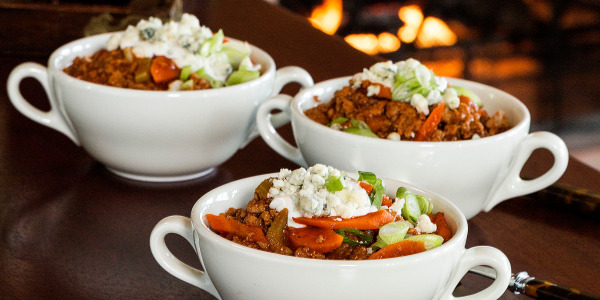 Take control of dinnertime with this easy, make-ahead chili recipe that's loaded with beef, beans and veggies — just like its Wendy's counterpart. 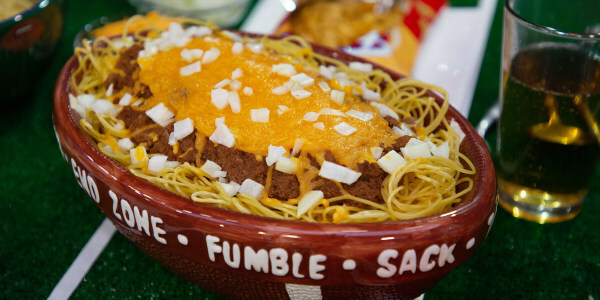 This recipe that's chock-full of beef and beans is a classic for Cincinnati natives. It's basically just a regular spicy chili, only it's served on top of spaghetti! Definitely don't knock it 'til you try it. Rice may just become a thing of the past. 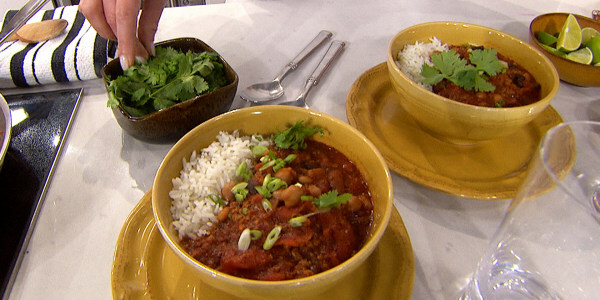 This is one of the simplest and most nourishing chili recipes. It takes only 10 minutes to put together, too. Serving a big crowd? This dish is easy to double (or triple) and can also be served on top of a healthy grain like brown or wild rice. 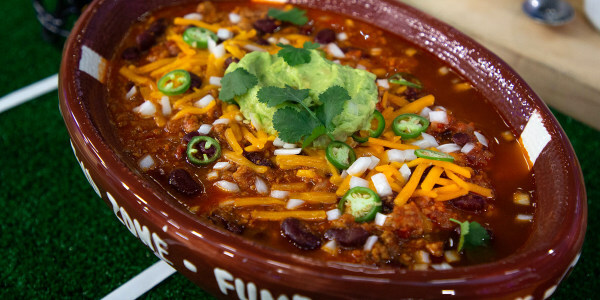 This chili brings together all of the earthy, spicy and meaty flavors people crave when the weather is less than ideal. 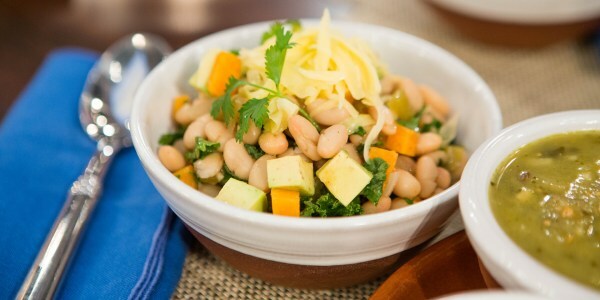 Creamy avocado adds a cooling element to this heat-forward dish as well. 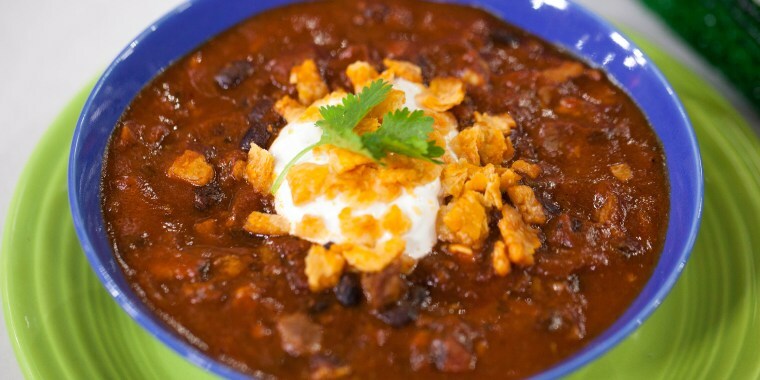 This chicken chili is a healthier meal with no shortage of flavor. It's great to whip up on a lazy Sunday or a fun tailgate party. For a fun twist, we recommend topping with crunchy tortilla chips. 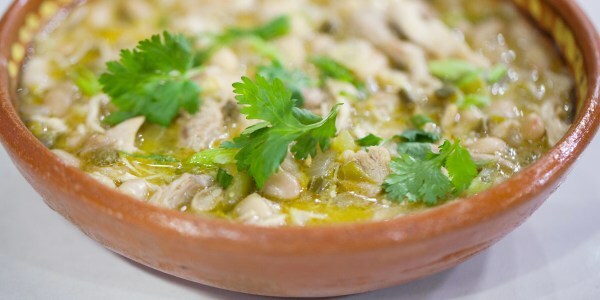 This hearty chicken chili verde is a one-pot wonder. 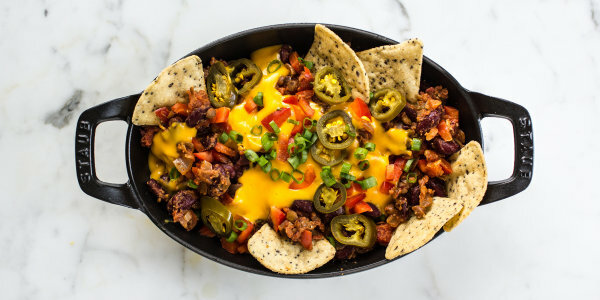 Serve it in bowls or turn it into an over-the-top platter of nachos. 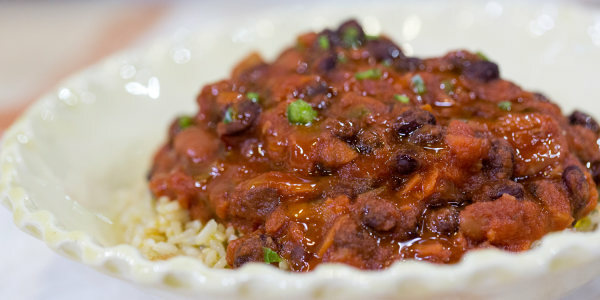 For a crowd-pleasing party dish, cook up Matt Abdoo's coffee-rubbed brisket, then add it to a spicy black bean chili base. Try the brisket on its own, too. The delicious, tender meat is also great in sandwiches. 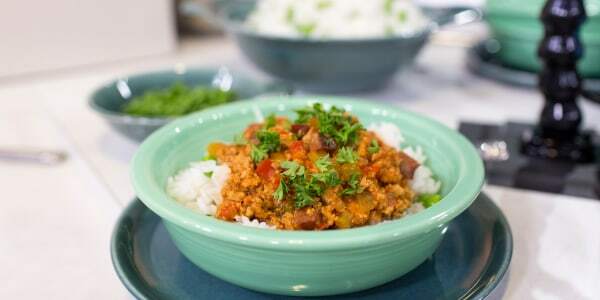 Katherine Heigl's three-bean chili might as well be called three-meat chili. 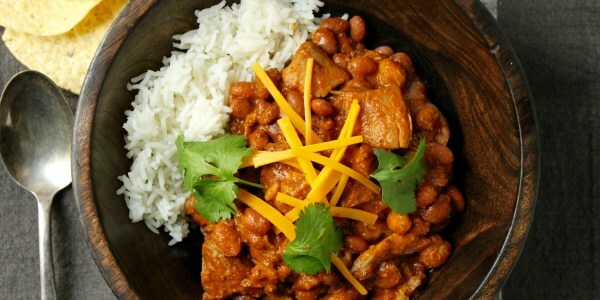 It boasts a savory array off flavors, and you'll get plenty of protein from the beans, beef, bacon and spicy sausage. Anchos and chipotles give this dish a double dose of smoke and heat. One is mild and fruity (ancho), and the other is hot and smoky (chipotle). Fresh corn tortillas are pureed with the tomatoes, broth and chipotles, which thickens the base into a silky, luscious sauce. 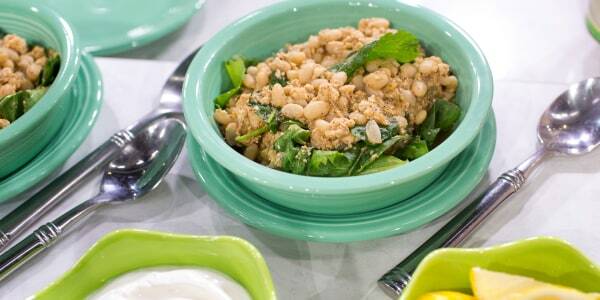 This hearty and delicious chicken and white bean chili is a cinch to prepare. Just toss all of the ingredients into a slow cooker and let it simmer away. Chopped chipotle pepper adds a subtle, smoky heat that's mellowed by the lager beer simmering along with the rest of the ingredients. Soy sauce may seem like a surprising addition to chili, but it imparts a pleasing saltiness, as well as plenty of umami, to the finished dish. 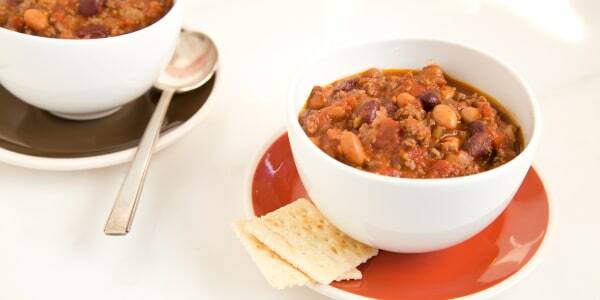 Whether you need a game-day meal for a big hungry crowd or just want something warm and cozy on a cold day, this slow cooker turkey chili is sure to please a variety of taste buds. For someone who loves chili but doesn't like super-heavy dishes, this recipe is a great one to try. It's full of hearty protein, but it's actually meatless. Instead, it has kale, sweet potato and fresh chunks of avocado. It's the chili of all chilis for the light at heart. 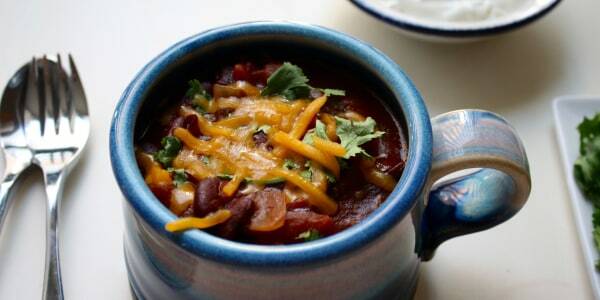 This is one of the simplest and most nourishing chili recipes around. It takes only 10 minutes to put together, and it's wonderfully filling — and satisfying, even if you typically love meat. It's a great dish to make if you're feeding lots of people, too, since it's gluten free. 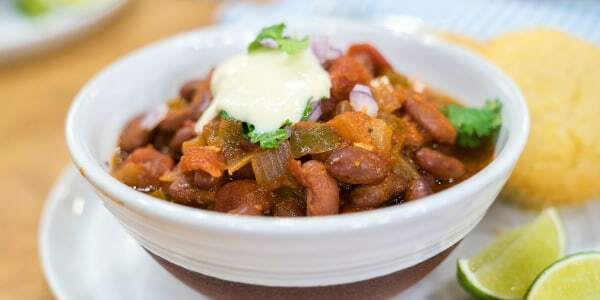 Chloe Coscarelli's Vegan Firehouse Chili is easy, healthy and — as its name suggests — free of dairy and completely meatless. It's perfect for a winter weeknight meal when you’re craving something nourishing and high in protein. Oh, and it takes only about 15 minutes to cook. With smoky lentils and protein-packed kidney beans, this chili is wholesome and yet totally decadent because of the delicious cheese sauce. This dish also makes a great appetizer since it's served on top of tortilla chips.